This Minister for the Centenary of Anzac (and other things) is less careless than his immediate predecessor and less bloodthirsty than the one before that. He has made only the occasional blue (his initial ‘kick in the guts’ response to the Vietnamese government decision about the Long Tan commemoration oversimplified a complex issue) and put up with what he might well have seen as an embarrassing legacy (the boastful Monash museum boondoggle which his predecessor was forced to kick along just before Christmas when no-one was looking) while giving as much publicity as possible to initiatives for veterans’ transition out of the Defence Force and their mental health. In other news, the Minister announced belated awards for soldiers involved in the Battle of Long Tan, mentioned Lone Pine and Victory in the Pacific, and handed out small grants to lots of veterans’ organisations. He also congratulated 56 secondary students who won awards in the Honouring Australian Vietnam Veterans competition. Entrants in this competition were asked to look at the diversity of roles played by Australian servicemen and women during the Vietnam War. They were given suggested examples (RAR, that is, army, RAN, RAAF, medical, dog handlers, SAS, engineers). Many of the winning entries mentioned more than one role but about half of them focused on army stories and about half on medical staff, nurses, RAN and RAAF – and dogs. The students were also asked why it was important to honour the service of men and women in Vietnam and remember ‘this part of Australia’s wartime history’. Unfortunately, the brief summaries of the winning entries do not indicate what they said on this point. The students were not directly asked to look at physical and psychological impacts of the war on individuals at the time or afterwards or at the impacts on Australia generally or on Vietnam. (The summaries of winning entries indicates that a few did so.) This seems odd, given that one of the ‘judging guidelines’ was that an entry ‘demonstrates a clear historical understanding of Australia’s involvement in the Vietnam War’. Is the implication that this understanding need only relate to what happened between 1962 and 1975? Senator Scott Ludlam from Western Australia is to be the Australian Greens spokesperson for Veterans’ Affairs, replacing Senator Peter Whish-Wilson from Tasmania. (We assume Veterans’ Affairs includes Anzac centenary, as it has previously.) Senator Ludlam is also the Greens’ spokesperson for Defence, Foreign Affairs and Nuclear. Outside Canberra, at Enoggera Barracks in Brisbane, in the presence of Minister Tehan and Governor-General Cosgrove, and in other towns and suburbs, ceremonies were held to mark Long Tan, Vietnam Veterans’ Day and the war itself. 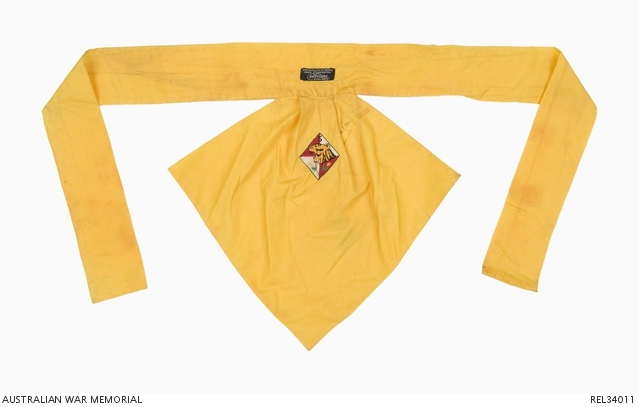 Perhaps by being held at a distance from the scene of conflict they may have enabled a sharper focus on the lives beyond the battlefield of those who served in Vietnam – and the lives of their families. 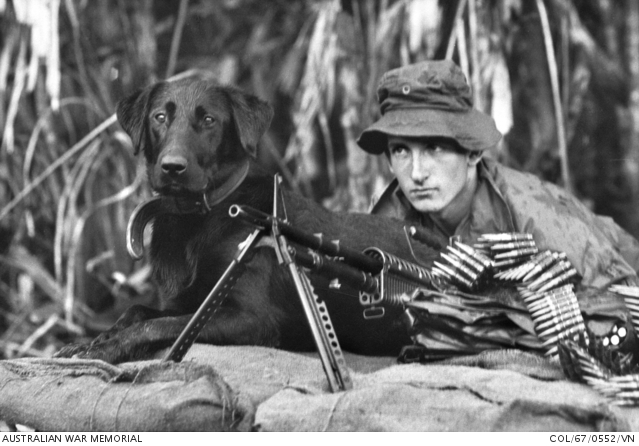 Honest History’s series ‘Australia’s Vietnam War – and keeping it in context’ also tried to take a broad view. People who know war intimately are usually wary – and often scathing – of over-egging Anzac. Honest History’s working definition of ‘Anzackery’, which it provided to the AND some time ago, was put together by a retired Brigadier, a retired Colonel, the son of a Major General, and two military historians. The AND‘s Amanda Laugesen wrote up Anzackery in 2015. Being critical of Anzackery does not, of course, preclude a respectful attitude towards Anzac. Meanwhile, the use of the word ‘Anzac’ continues to be protected by century-old regulations (particularly against commercial predation) and Honest History has from time to time drawn the attention of the Department of Veterans’ Affairs to the inappropriate use of the word. The Honest History series ‘Divided sunburnt country: Australia 1916-18’ is providing material relevant to the conscription battles in 1916-17: recruitment difficulties; the War Census of 1915; trade union, Irish and feminist opposition; the central role of Prime Minister Hughes. Today we add Hughes’ parliamentary speech announcing the first referendum plus an article by Lord Northcliffe about the Australians on the Western Front. The distribution of this article in Australia and New Zealand was facilitated by Keith Murdoch, probably with the aim of boosting Australian patriotism and support for conscription. Then there is this on conscientious objectors in Australia during World War I and this on pacifism. Conscription is always an option in wars and it always provokes opposition: Australian opponents of conscription in 1916-17 were aware of the New York draft riots of 1863, during the American Civil War. (See LC Jauncey, The Story of Conscription in Australia, pp. 171-2, 185-9.) There continue to be lessons in the overseas experience of conscription. This article from 2001 in the Israeli newspaper Haaretz is headed ‘They also serve who refuse to serve’. It is about conscientious objectors to service in the Israeli Defence Force. The sentiment and the stories are worthy of close analysis. There is also this book and resources on the experiences of draft resisters and conscientious objectors in the United States during the Vietnam era. The book seeks to promote long overdue healing from the after-effects of the Vietnam War. It depicts through oral history the range of stories and experiences hitherto often kept separate and allows the reader to understand what caused the decisions that were made as well as what happened to those who served, those who resisted, those who left [the United States to go to Canada and elsewhere], those who chose conscientious objection, those who beat the draft and those who loved, counseled and supported. That paragraph could apply, with very little tweaking, to those who decided not to resist conscription and, indeed, to those who volunteered and those who enlisted and obeyed orders. People who propose innovation at the Australian War Memorial tend to be reminded about Mr (later Dr) Bean, that is, Charles Edwin Woodrow Bean, one of the (note, not ‘the only’) pioneers of the Memorial. In 1983, the president of the Memorial’s volunteer guides group asked the then Director whether Bean would have approved of some changes being proposed at that time. When the current Director began doing new things, similar remarks were made to him. The author of this note, speaking at a gig recently in Tasmania, was told sternly that some new directions he was advancing for the Memorial were ‘against what Charles Bean intended’. Leaving aside for the moment whether every detail of the current Memorial and its operations sprang fully-formed from Bean’s brain or whether others like AW Bazley, Thomas Griffiths, John Treloar (described on the Memorial’s own website as ‘[t]he driving force behind the establishment of the Australian War Memorial’), Brudenell White and, more recently, Michael McKernan, Deputy Director and historian of the Memorial to 1990, and Steve Gower, Director for 16 years, made a contribution also, it is still fair to use the word ‘legacy’ in relation to Bean. Charles Bean’s legacy. The others listed clearly left legacies also. Could others leave a legacy in future? This is a chink of light indeed. But surely the magnitude of the effects described deserves more than “some sort of special exhibition”, something that fills some space for a while then moves on. Surely the attention to these things should be as lasting, as permanent, as pervasive as their impact was in real life. Depicting the aftermath should be a permanent and large part of a useful and future-oriented War Memorial, just as depicting the home front should be. A new direction of this nature would be a lasting legacy of the Nelson era at the Memorial. Such a direction would also be in line with the Memorial’s own Act (the Australian War Memorial Act 1980) which defines the Memorial’s area of interest, ‘Australian military history’, as ‘the history of: (a) wars and warlike operations in which Australians have been on active service, including the events leading up to, and the aftermath of, such wars and warlike operations; and (b) the Defence Force’. A reasonable person, reading this, would reckon that ‘the history of … wars’ would include something about why these wars occurred, the experience of the people Australians fought against (as well as of Australians), and the effects of war on Australia and other countries, while the wars were being fought and later. The Memorial has rarely read it that way. Legacies that allow no room for change are humdrum and sterile. A legacy that at least allows the Memorial to do what the Parliament – the representatives of the people – determined it should do sounds like one worth aiming at. Honest History tries, as far as possible, to keep up with Anzac centenary projects in the States and Territories. One such is the ‘Think Piece’ series on the South Australian government’s Anzac centenary website. It is a crowd-sourced collection of short articles with ‘brave blokes in khaki’ stories (a good number of them) featuring but also pieces about war widows, ex-service organisations, not volunteering, women on the home front, what happened to Germans at home during the Great War, caring for the Long Tan wounded, and PTSD. There is still a preponderance of ‘war stories’ in the narrow sense but it is up to people with other stories to tell to put them forward. It can often be the non-military side of war that really makes people think – and it sometimes takes a bit of thinking to get beyond the khaki-tinged predominant view. (For example, who noticed that neither the Prime Minister nor the Governor-General in their Vietnam Veterans’ Day speeches referred to the role of nurses in Vietnam?) The South Australian collection makes a start in a desirable direction. Unlike Australia, where the public spend (Commonwealth, state and territory, but not corporate) on the Great War centenary is close to $A500 million, the United States is doing its commemoration of their World War I (1917-18) entirely through private donations. Some of what this money is buying (and some of what the merchandisers are selling) can be found at the World War I Centennial website. It includes educational material, replica messenger pouch and trench boots, a World War I Memorial Inventory Project, and a National World War I Memorial. * David Stephens registered as a conscientious objector against the Vietnam War, one of the 1200 who did so. When his number was drawn out, and not being entitled to further educational deferment, he became a National Service Act defaulter. He took part in the first moratorium in May 1970.